The International Socialist Organization’s webzine socialistworker.org recently published a critique of revolutionary syndicalism in the form of a review of Radical Unionism by Ralph Darlington. The review, by Tom Goulet, makes a number of mistaken claims. The claim that “syndicalist unions broke off from mainstream federations to form ‘purely revolutionary’ unions, cutting themselves off from the mass of workers” doesn’t hold up, though it does conform to the Leninist orthodoxy of Leftwing Communism: An Infantile Disorder. There were many countries where the syndicalist unions were the majority – such as Portugal, Spain, Argentina, Uruguay, Peru, Brazil. 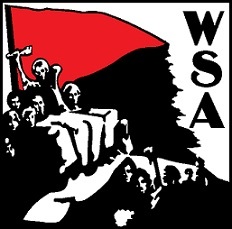 Syndicalist unions in South Africa, such as the Industrial Workers of Africa (modeled on the IWW) were the only union that organized native African workers, who were excluded from the white craft unions. At the time of the mass occupation of the factories in Italy in September, 1920, the USI was claiming 800,000 members, and the factory councils formed throughout Italy in those events were mostly organized by the USI. Moreover, it was the anarcho-syndicalists who initiated a militia movement (arditti del popolo) to fight Mussolini’s fascist squads. But the Communists didn’t cooperate and the Socialist Party capitulated to fascism. Darlington claims the IWW went into decline with government repression in 1917. This claim is needed in order to justify the Communist International’s orders to its American followers to ditch the IWW because supposedly the IWW was in decline. Actually the IWW continued to grow in the early ‘20s, reaching its peak in 1923. The IWW mass unions were in industries where there either was no AFL union or a competing AFL union that was no larger than the IWW union. Moreover, in industries where IWW was a minority they often worked as a “dual card” pressure group within the AFL unions. Moreover, the claim that revolutionary syndicalism “rejects politics” contradicts the criticism that syndicalists have an unrealistic ideal of a highly politicized unionism that can play a revolutionary role. The ISO needs to make up their mind which criticism they want to make: Did syndicalists advocate a narrow focus on merely economic issues (“economism”) or did they have unrealistic expectations of the political role unionism could play? These two traditional Leninist criticisms are logically inconsistent with each other. In Spain at present the two syndicalist unions, CGT and CNT, often work to develop alliances with social movements (women’s groups, ecologists, housing squatters) as in general strike mobilizations. The CGT has separate encuentros for its women members to develop campaigns — as for example their current campaign for free abortion on demand, against the right wing government’s efforts to criminalize abortion. These are examples of how the unions do develop political strategy and focus. The ISO claim that the syndicalist unions never developed “a political program” is simply untrue. Moreover, this claim is inconsistent with their claim that revolutionary syndicalists are “unrealistic” in seeking to develop unionism as a revolutionary movement. Marxism historically proposed a division of labor, with “politics” being reserved for the party, and the union relegated to “the economic sphere.” At the time of the formation of the Communist International, the Russian Communists demanded that the revolutionary syndicalist unions become mere “transmission belts” for the Communist parties in their countries. In practice this division of labor has always been used as an excuse by union leaders to avoid mass action around larger political questions. They will tell workers they need to vote for the party. This was the role the Communist Party played in demobilizing the population in France after the mass general strike in 1968. The review claims that syndicalists over-emphasize “spontaneity.” Although syndicalists do emphasize the control by workers of their own struggles, syndicalism has always placed great emphasis on preparation and building the capacity of militants. For example in the ‘30s the anarcho-syndicalists in Spain organized dozens of storefront worker schools and cultural centers in working class neighborhoods of Barcelona and Valencia. Knowledge and organizing skills of rank and file workers were developed through newspapers, workshops, study groups and other efforts. Goulet also offers a mistaken conception of the revolutionary general strike. As Lucy Parsons said in her remarks to the founding convention of the IWW, the syndicalist conception is an “inside” strike, a generalized takeover of the means of production and all the capitalists’ assets. 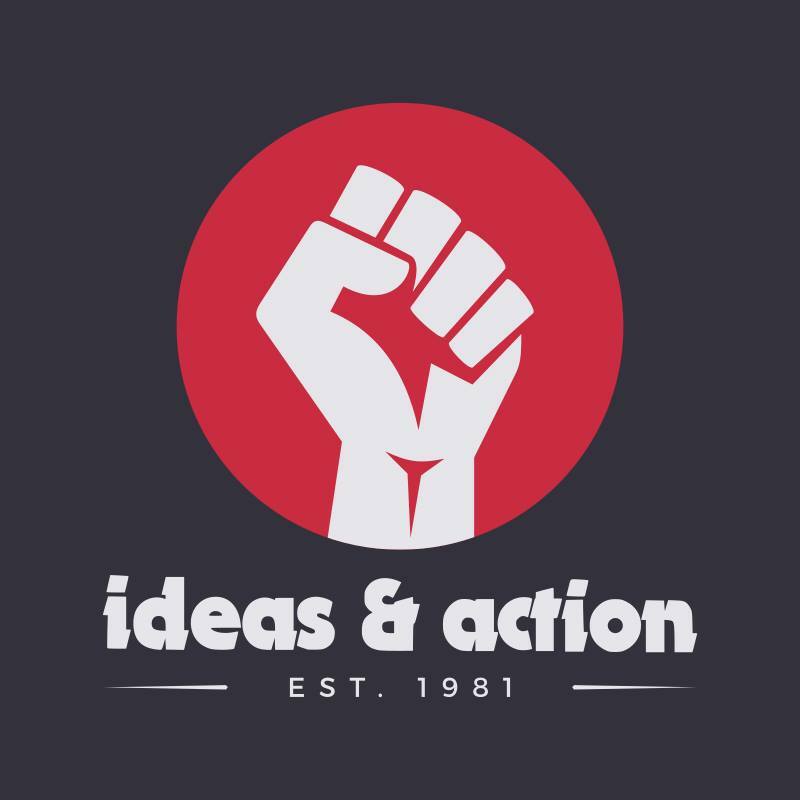 The syndicalist idea is that having a grassroots worker mass movement in the workplaces provides an organized movement with the skills and position to carry out this generalized lockout of the bosses, and to ensure that people’s needs are met in a situation of rapid change. We have a vivid example of an expropriating general strike in the mass seizure of industry and farm land by the syndicalist unions of the CNT in Spain in 1936. More than 18,000 companies and 14 million acres of farm land were expropriated, according to Burnett Bolloten (a UPI reporter in Spain at the time). The CNT movement also smashed up the army in many parts of the country and built its own proletarian army of about 100,000 to fight the fascists. This is clearly a demonstration of the possibility of a union movement playing a revolutionary role. I’d guess now that there will be a lot of both. I’d predict at least some of both.